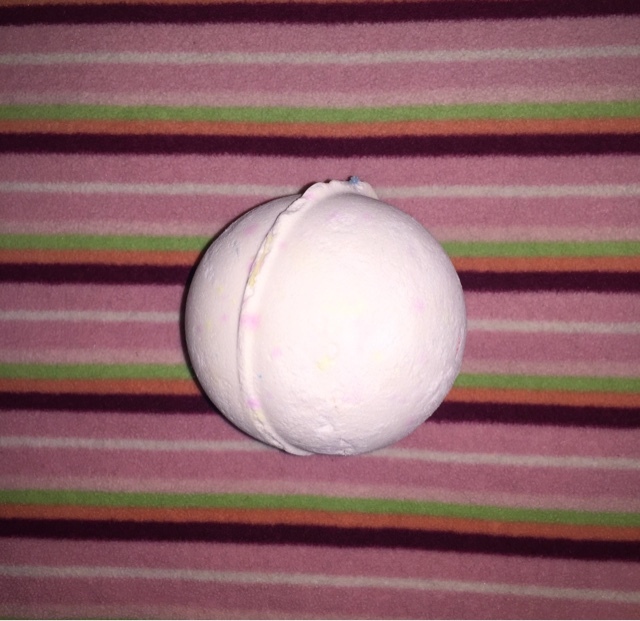 Okay, I think I'm addicted to bath bombs. 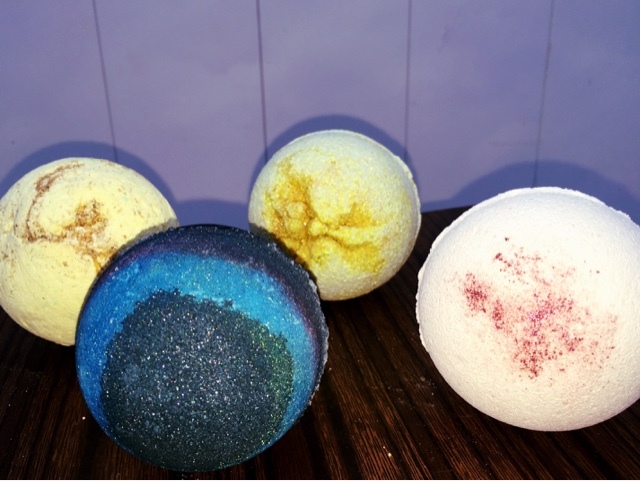 If you don't know, bath bombs or fizzies are hard-packed mixtures of essential oils combined with other varying ingredients, from glitter to pop-rocks, to make your normal bath an experience. 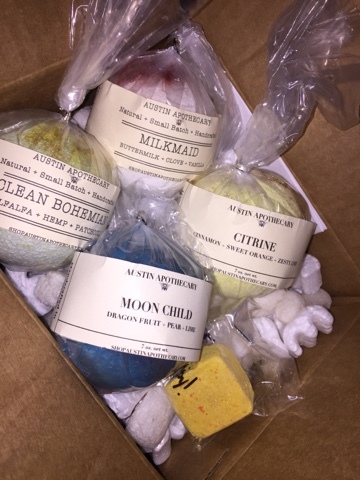 I usually get my bombs from Lush Cosmetics but, in an effort to support small businesses, I ordered a few from AustinApothecary on Etsy. 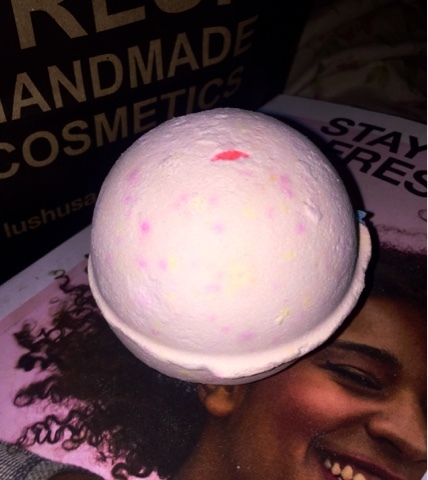 I mix my bombs with my favorite Neutrogena Rainbath shower/bath gel and body oil. The majority of my bombs have 24K gold mica powder, so on top of the great fragrances and soft skin, I can walk around sparkling like the golden goddess I am. I was even sent a small "Golden Sun" bomb as a bonus. So far, I'm in love with this brand. As temperatures continue to rapidly drop in NYC, I'm sure I'll be purchasing more and more so I'll be sure to give an update with my favorites. The holidays are coming and these make amazing little gifts. Stay tuned.